He's was taken in Putnam, NY on November 23, 2012 around 3:45 pm. He passed me grunting at a doe to my left. 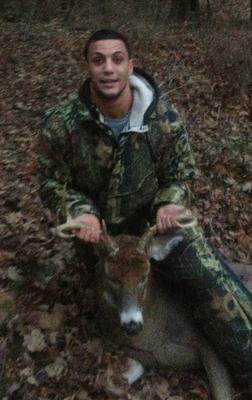 I grunted at him, he stopped in his tracks and I took my first shot about 20 yards and put him down.